CERT members don’t volunteer for the fringe benefits. 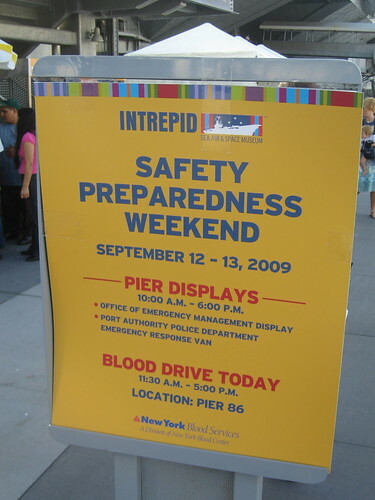 But nonetheless it was great that the USS Intrepid Museum offered free admission today to CERT’s as part as their “Safety Preparedness Weekend”. So, I took one of my daughters to the newly refurbished carrier which is docked on the Hudson River in midtown Manhattan. It’s always nice for non-profit organizers (in this case NYC-OEM which manages the CERT program) to find and offer small incentives/benefits to their volunteers. As part of the “Preparedness Weekend,” NYC-OEM handed out readiness information to the the public and the New York Blood Center Van was there to take donations. 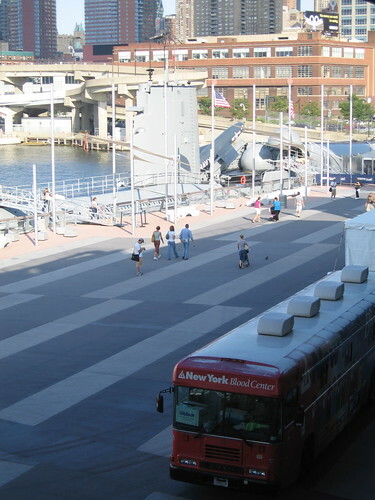 By the way,Â I definitely recommend you visit the ship if you’re sightseeing in New York City.